So far our holiday has been exciting, interesting and fun. However, all true adventures must have an element of disappointment and despair. Today, I will share it with you. Takayama is famous for a number of things – apples, beef, ramen, sake (DO try the peach sake if you get the chance) and a bi-annual festival of floats. The festival was a primary reason for Takayama being on our itinerary; we planned to be in town for the Spring festival and everything was looking promising. 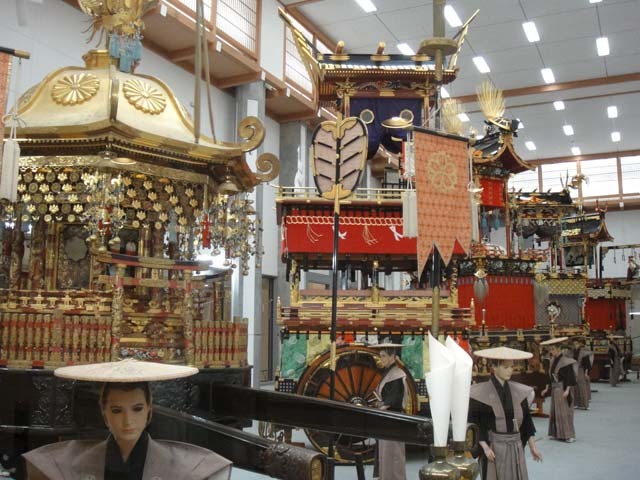 Having visited the float exhibition hall on our first day in Takayama, we were very excited to be seeing the floats on our last day in town. The weather had been perfect and our ryokan hosts had been more than happy to discuss the impending celebration with us. For any of you who are joining the story a little late – don’t worry. You can find all the catchup you need right here. When embracing a different culture, it is important to open yourself up to everything it has to offer. Of course, while I believe that it’s good to step outside your comfort zone on occasion, it’s also important not to stretch yourself too far as you risk losing the appreciation through fear or obligation rather than willing surrender. Some cultural aspects can be intimidating; luckily, Takayama offers one that is almost too kawaii (cute) to bear! Having bid a fond farewell to Kanazawa, Dad and I hopped another shinkansen to Takayama and we were both a little excited. Our accommodation in Takayama would be a ryokan (Japanese Inn) called Honjin Hiranoya, a place I had booked in order to experience the more traditional Japanese side of accommodation. The train eased into the station and we disembarked, heading out the front to meet our transfer and after a short wait, a car arrived and the friendly driver had us promptly comfortable and on our way. As we entered the ryokan, we were welcomed by our hosts as though we were old friends.